The German government in Berlin criticized Saudi Arabia at the beginning of the year for having pressured the Prime Minister of Lebanon, Mr Saad Hariri, to choose sides in the Saudi conflict with Qatar. Ever since doing so, German businesses have reported to the German embassy in Riyadh that they are having a hard time getting new business done anywhere in the Gulf states, which are almost all under Saudi protectorate. 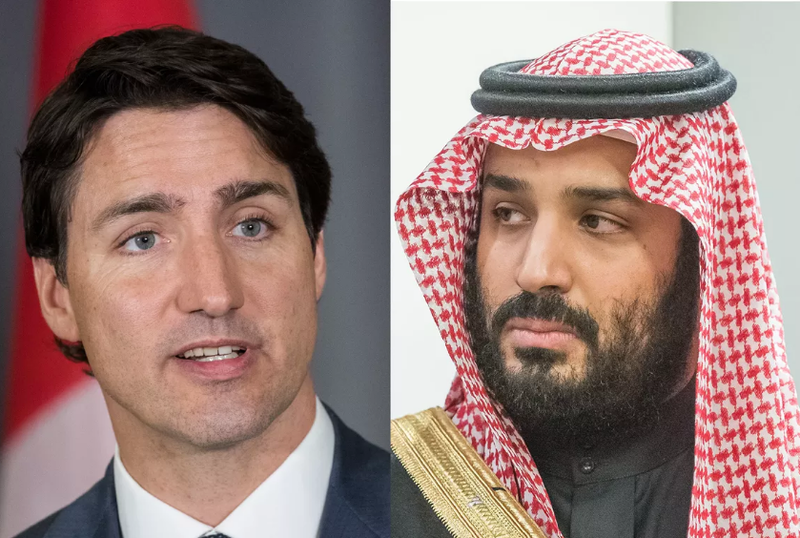 Related coverage: <a href="http://thegoldwater.com/news/33299-Canada-Saudi-Spat-Results-In-Veiled-9-11-Social-Media-Threats">Canada-Saudi spat results in veiled 9/11 threats</a>. Someone should have told this to the Canadian Foreign Minister Ms Chrystia Freeland who might well have the moral high ground in her tweet criticizing the Saudis for arresting a human rights activist whom has family in Canada, the order by the Saudi leadership sent to all gulf state traders to start dumping Canadian assets “no matter what the cost,” only furthers the view we here at the goldwater.com had the first time we reported this story. Saudi Arabia has about $6 billion invested in Canadian companies. Was it worth risking all that given that everyone agrees Crown Prince Mohammed Bin Salman is already preparing his country for a more progressive future? Related coverage: <a href="http://thegoldwater.com/news/33253-Canada-Foreign-Minister-Freeland-Tweets-Lead-To-Dramatic-Rift-With-Saudis">Canada Foreign Minister Freeland tweets lead to dramatic rift with Saudis</a>. Both the Financial Times and the Wall Street Journal today confirmed the rumor that the Saudi foreign ministry had instructed their asset managers, fund managers and pension funds (and thus also the Gulf states which are under Saudi protection) to dump all investments in Canadian bonds, stocks and any other asset class. Meanwhile, the Canadian government has called on the UK and the United Arab Emirates to help mediate the issue. Mr Adel Al Jubeir, the Saudi Foreign Minister, responded: “there is no need for mediation, a mistake was made and it should be corrected, meditation happens when two sides have demands, but this is clear. “If Canada made a mistake, it’s on Canada to fix it”. Today, Riyadh recalled 12,000 students and all medical tourists from Canada. Eyebrow Man has been slapped and the rest of Canada pays for it. Maybe Justin eyebrow should read The Art of the Deal? Hahaha… good one Jeff Allen! Seems Canada is getting slapped around pretty good, and for good reason. Judy and his incompetent Minister don't know how to deal with other nations. As evidenced by their stupidity in dealing Trump on the trade issue. Yep, keep up your phony Mr. Big act, Trudeau, you sissy ‘tard.